Two Colour wrist band made from silicon. 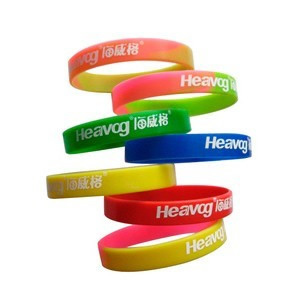 Printed charity wristbands can be supplied as either printed wristbands or embossed wristbands. Promotional wrist bands are a great option for promotional gifts offered by charities or as conference wristbands and event wristbands.